"Mostly share experiences about SharePoint Technologies"
I’ve data in SharePoint List more than 5.000 items, it’s been started or created from 2017 until this post up. User want to delete the items in range January 2017 - December 2018. Please note, you can’t do that thing by manually with Select All > Delete, that’s wasted your time. Check below solutions! I bought new Laptop with Ryzen processor with architecture x64 and tried to install SharePoint Designer 2013. 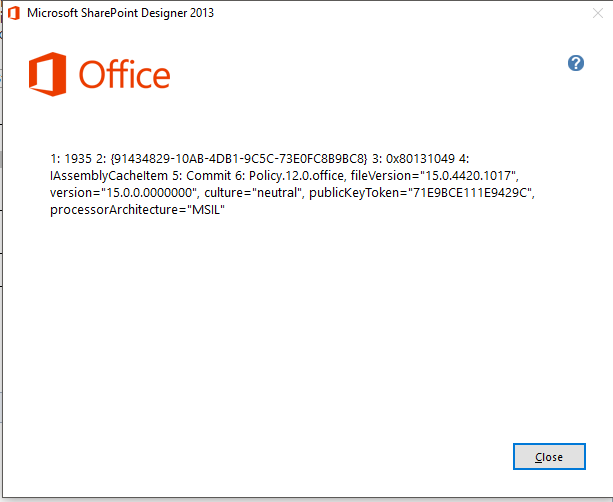 I thought this issue cause my processor not supported SharePoint Designer 2013, in this issue mention about "processorArchitecture=MSIL", see below image and check solutions. You know, when you bought new laptop with Windows 10 operating system and also you got pre-installed Office 365. That's the problem, i don't even know the specific root cause. I just tried to clean uninstall all of them using cmdlets. Then, tried to Restart your Windows and re-install your SharePoint Designer 2013. 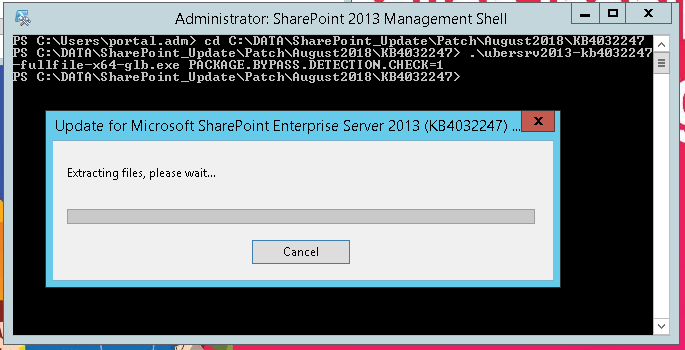 Look, I already installed SharePoint Server SP1 in my environment. So, what’s wrong? Wait! What is that code for? Just add in your last cmdlets. Solutions? Just go back into Site Content and re-create a new sub site. Ok, let’s fix this issue. See below solutions.